A big change in this release is to remove the preferences dialog, not sure if this is a problem for us. 3.10 is in debian, how difficult would it be to merge? Is this done for xenial? >Is this done for xenial? It is better to fork or stay at 3.8. I , for example use preference over ssh (with x11 forwarding) to setup vnc remotely. If preference is moved under unity-control-center, there will be no easy way to achieve this. I do not object to forking 3.8.1, as long as the fork is updated to use the latest libvncserver. I looked into this today. 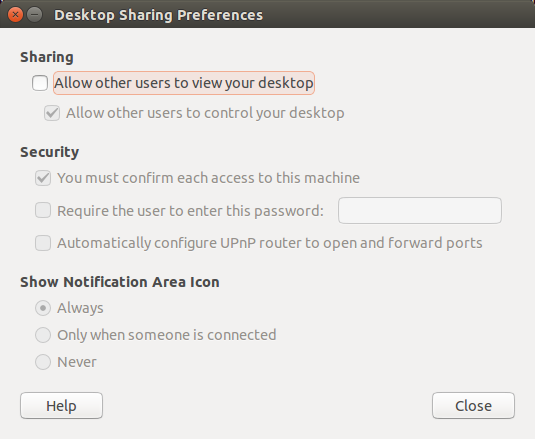 The .desktop for the preferences dialog in Ubuntu's vino 3.8 has OnlyShowIn=GNOME;Unity; set so the removed preferences dialog really only affects Unity. If the removed preferences dialog is not a blocker, we are good with merging vino 3.22 with Debian. 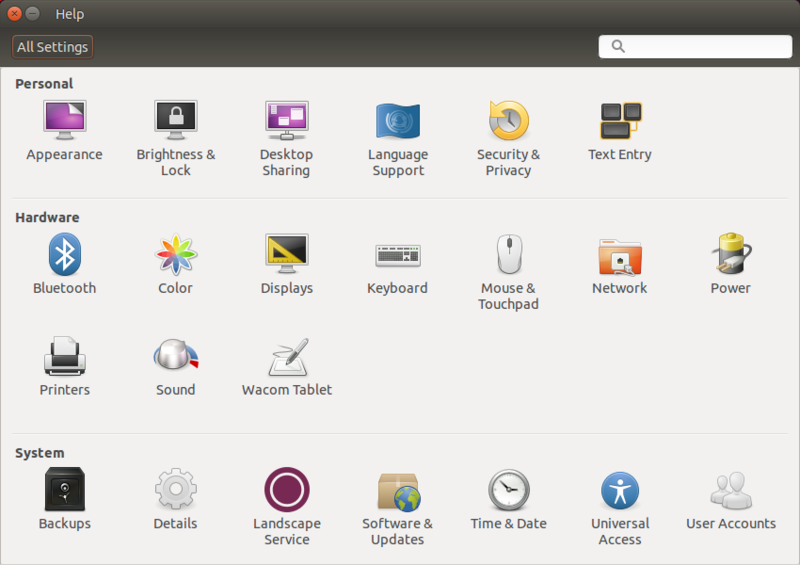 The only remaining Ubuntu diff is enabling the system miniupnpc patch. "Disable 05_use-system-miniupnpc.patch for now, until we have a patch that is ready to be sent upstream and the Debian maintainer of miniupnpc has learned how to maintain a library package." * Add Build-Depends on gnome-common, required for autoreconf. * Add Build-Depends on libice-dev and libsm-dev as per configure.ac. 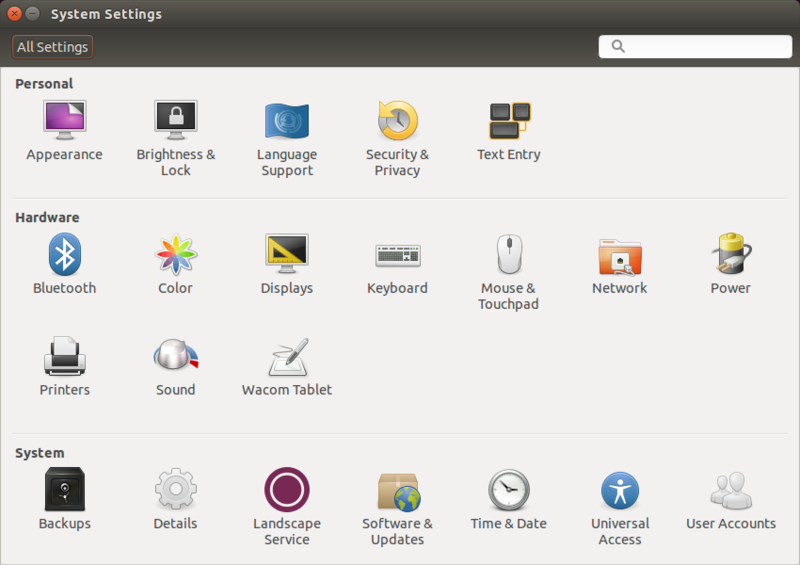 * Add gnome-control-center (<< 3.13.2) to Breaks. key in the sharing panel. - Note: no longer started by gnome-session, now by g-s-d sharing instead. * Have quilt refresh patches. 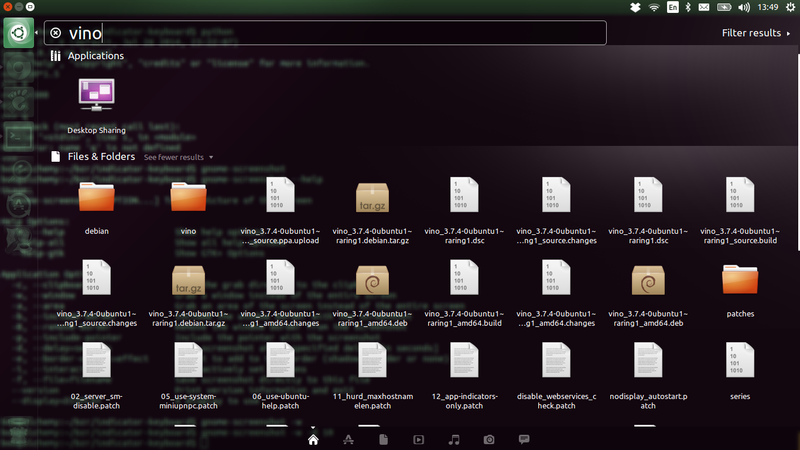 so the file is no longer installed under /etc/xdg/autostart.